* sysdeps/arm: Move directory to ../sysdeps/arm. * sysdeps/unix/arm: Move directory to ../sysdeps.arm. fp to register list, remove a4. [GCC_COMPAT (4, 3) || SHLIB_COMPAT (libc, GLIBC_2_0, GLIBC_2_19)]. with compat_symbol under [SHLIB_COMPAT (libc, GLIBC_2_0, GLIBC_2_19)]. * sysdeps/arm/fegetround.c (fegetround): Use libm_hidden_def. might actually be expanded to multiple instructions. * sysdeps/arm/arm-features.h (ARM_BX_NINSNS): Macro removed. reference to preconfigure.in to preconfigure.ac. * sysdeps/arm/__longjmp.S (NO_THUMB): Remove define. (__longjmp): Use Thumb supported instructions. * sysdeps/arm/setjmp.S (NO_THUMB): Remove define. (__sigsetjmp): Use Thumb supported instructions. and lr when restoring register values. sp and lr from list and replace fp with a4. * sysdeps/arm/jmpbuf-unwind.h (_jmpbuf_sp): New function. * sysdeps/arm/sysdep.h (LDST_GLOBAL): New macro. * sysdeps/unix/sysv/linux/arm/sysdep.h (PTR_MANGLE): New macro. * sysdeps/arm/armv6t2/ffs.S (__ffs): Define as hidden. __atomic_compare_exchange_n builtins when GCC supports them. on entry to aligned copy loop to improve performance. * sysdeps/arm/armv6t2/strlen.S: Use sfi_pld and sfi_breg macros. * sysdeps/arm/armv6t2/strlen.S: Include <arm-features.h> first thing. [NO_THUMB]: Adapt code for ARM mode. instead of mov lr, pc. Pass GLRO(dl_hwcap) to the IFUNC resolver. AT_HWCAP2 to return -1 for unknown a_type display fallback. * sysdeps/arm/arm-mcount.S: Comment typo fix. * sysdeps/arm/arm-features.h (ARM_BX_NINSNS): New macro. computed-jump dispatch sections. Use sfi_breg throughout. that uses bx rather than add-to-pc, and respects ARM_BX_ALIGN_LOG2. [!USE_NEON] (D_l, D_h): Use r10, r11 rather than r8, r9. (tmp2): Use r8 rather than r10. [__ARM_NEON__]: Do not refer to HWCAP_ARM_NEON. [!__SOFTFP__]: Do not refer to HWCAP_ARM_VFP. __SOFTFP__] (_FPU_GETCW): Define to (cw) = 0.
condition to [! (_LIBC && !_LIBC_TEST) && __SOFTFP__]. requested exception traps were enabled and return -1 if not. (_FPU_RESERVED): Change value to 0x00086060. * sysdeps/arm/machine-gmon.h: Remove trailing whitespace. ($(objpfx)libmemusage.so): Remove dependency on libc_nonshared. [$(subdir) = math] ($(objpfx)libm.so): Remove dependency on ld.so. * sysdeps/arm/libm-test-ulps: Update test names. * sysdeps/arm/libm-test-ulps: Update names of sincos tests. <stdint.h> due to uint64_t or uint32_t usage. * sysdeps/arm/setjmp.S (__sigsetjmp): Don't save fpscr. * sysdeps/arm/__longjmp.S (__longjmp): Don't restore fpscr. memcpy here, just __memcpy_arm and __aeabi_memcpy*. Define memcpy here, not __memcpy_neon. use memcpy name for NEON implementation. reference to _GLOBAL_OFFSET_TABLE_ with an STV_HIDDEN declaration. * sysdeps/arm/dl-tlsdesc.S (_dl_tlsdesc_dynamic): Add missing sfi_breg. * sysdeps/arm/preconfigure.in: Use "test" instead of [ ]. (_dl_tlsdesc_dynamic) [ARM_ALWAYS_BX]: Don't pop into pc. * sysdeps/arm/arm-features.h: Add comment for ARM_NO_INDEX_REGISTER. * sysdeps/arm/sysdep.h [!ARM_SFI_MACROS] (sfi_sp): New macro. (sfi_breg, sfi_pld): New assembler macros. through the pc or sp registers. * sysdeps/arm/arm-features.h (ARM_BX_ALIGN_LOG2): New macro. [ARM_ALWAYS_BX]: Don't pop into pc. * sysdeps/arm/arm-features.h: Add comment about ARM_ALWAYS_BX. [ARM_ALWAYS_BX]: Avoid pc as destination. Use .arm rather than .thumb, .thumb_func. Avoid cbz/cnbz instructions. is r4,r5 rather than r5,r6; this way ARM mode will allow that ldrd. * sysdeps/arm/bits/setjmp.h: Test [!__ASSEMBLER__] rather than [!_ASM]. * sysdeps/arm/jmpbuf-unwind.h: Don't #include it. * sysdeps/arm/setjmp.S (_SETJMP_H, _ASM): Macros removed. * sysdeps/arm/memcpy.S: Convert to unified assembly syntax. * sysdeps/arm/memcpy.S: Use r10 instead of r9. * sysdeps/arm/preconfigure: Replaced with generated file. * sysdeps/arm/sysdep.h (ARCH_HAS_HARD_TP): New macro. (GET_TLS): Use hard-tp if ARCH_HAS_HARD_TP. the default definition if ARCH_HAS_HARD_TP. * sysdeps/arm/sysdep.h (__ARM_ARCH): New macro. (ARCH_HAS_BX, ARCH_HAS_BLX, ARCH_HAS_T2): New macros. (BX): Select on ARCH_HAS_BX instead of __USE_BX__. (BLX): Select on ARCH_HAS_BLX instead of __ARM_ARCH_4T__. * sysdeps/arm/sysdep.h (BX, BXC, BLX): New macros. * sysdeps/arm/__longjmp.S (__longjmp): Use ldmia insn directly. * sysdeps/arm/arm-mcount.S (_mcount): Use push/pop mnemonics. * sysdeps/arm/memcpy.S (PULL): Rename macro from pull. (PUSH): Rename macro from push. * sysdeps/arm/sysdep.h (CALL_MCOUNT): Use push/pop mnemonics. * sysdeps/arm/sysdep.h [__ASSEMBLER__]: Enable thumb2 if __thumb2__. (PC_OFS): Respect __thumb__ if __ASSEMBLER__. * sysdeps/arm/sysdep.h (GET_TLS): New macro. * sysdeps/arm/dl-tlsdesc.S (_dl_tlsdesc_undefweak): Use it. * sysdeps/unix/sysv/linux/arm/sysdep.h (GET_TLS): New macro. * sysdeps/arm/sysdep.h (NEGOFF_ADJ_BASE): New macro. (NEGOFF_ADJ_BASE2, NEGOFF_OFF1, NEGOFF_OFF2): New macros. * sysdeps/unix/sysv/linux/arm/clone.S (__clone): Use them. * sysdeps/arm/sysdep.h (LDST_PCREL): New macro. * sysdeps/unix/arm/sysdep.S (__syscall_error): Use LDST_PCREL. Fix up gottpoff load of errno for thumb2. provided by bits/mman-linux.h and include <bits/mman-linux.h>. * sysdeps/arm/preconfigure: Adjust scan for __ARM_ARCH_* defines. * sysdeps/arm/sysdep.h: Fix assembly whitespace. * sysdeps/arm/sysdep.h (PC_OFS): New macros. * sysdeps/arm/__longjmp.S (__longjmp): Use PC_OFS. * sysdeps/arm/dl-tlsdesc.S (_dl_tlsdesc_dynamic): Add IT markup. * sysdeps/arm/sysdep.h (CFI_SECTIONS): New macro. * sysdeps/arm/frame.h (struct layout): Do not use __unbounded. [__ARM_PCS_VFP] (_dl_cache_check_flags): Allow plain FLAG_ELF_LIBC6. Set FLAG_ARM_LIBSF for soft-float ABI otherwise just FLAG_ELF_LIBC6. (truncate64): Do not use CHECK_STRING. trapping exceptions were successfully set for FE_NOMASK_ENV. * sysdeps/arm/bits/fenv.h (FE_DFL_ENV): Use cast to const fenv_t *. * sysdeps/arm/fclrexcpt.c (feclearexcept): Add libm_hidden_ver. (relocate_pc24): ... this new function. * sysdeps/arm/nptl/pthread_spin_lock.c: Use generic code. * sysdeps/arm/nptl/pthread_spin_trylock.c: Remove, use generic version. * sysdeps/arm/bits/atomic.h: ... this new file. * sysdeps/arm/dl-machine.h (elf_machine_rel) [R_ARM_ABS32]: Fix style. [!ARM_ASSUME_NO_IWMMXT]: Conditionalize iWMMXt register use on this. * sysdeps/arm/__longjmp.S: Use .Lxxx rather than Lxxx for local labels. [__SOFTFP__]: Conditionalize HWCAP_ARM_VFP check on this. * sysdeps/arm/fclrexcpt.c: Use ARM_HAVE_VFP instead of hwcap bits. __typeof (...) for non-pointer variables derived from the arguments. (ENTRY): Do not use ASM_TYPE_DIRECTIVE. * sysdeps/arm/dl-machine.h (CLEAR_CACHE): Don't define it. Instead, #error if it's not defined. $config_os not linux-gnueabi* unless it's also linux*. * sysdeps/arm/configure.in: Remove TLS check. * sysdeps/arm/Makefile (gnulib-arch): New variable. [subdir = elf] ($(objpfx)libgcc-stubs.a): New rule. [subdir = elf] (lib-noranlib): Depend on $(objpfx)libgcc-stubs.a. [__USING_SJLJ_EXCEPTIONS__ && !__PIC__]: Remove conditional code. * sysdeps/arm/dl-irel.h (elf_ifunc_invoke): Pass dl_hwcap. * sysdeps/arm/dl-machine.h (elf_machine_rel): Use elf_ifunc_invoke. (HWCAP_ARM_SWP): Remove macro. Moved to <bits/hwcap.h>. Add "tls", "vfpv4", "idiva" and "idivt". [__LINUX_KERNEL_VERSION >= 0x020624] (__ASSUME_ACCEPT4): Define. If libc_cv_arm_pcs_vfp equals yes then define HAVE_ARM_PCS_VFP. on i386 version but without "static". * sysdeps/arm/start.S: Remove __ARM_EABI__ conditionals. * sysdeps/arm/preconfigure: Don't include /eabi in $machine. [subdir = elf] (sysdep-rtld-routines): Likewise. [subdir = elf] (shared-only-routines): Likewise. [subdir = csu] (gen-as-const-headers): Likewise. [subdir = csu] (aeabi_constants): Likewise. [subdir = csu] (aeabi_routines): Likewise. [subdir = csu] (sysdep_routines): Likewise. [subdir = csu] (static-only-routines): Likewise. [subdir = gmon] (sysdep_routines): Likewise. [subdir = debug] (CFLAGS-backtrace.c): Likewise. (msgget): Add syscall from eabi/syscalls.list. (CFLAGS-libc-start.c): Add setting from eabi/Makefile. [subdir = rt] (librt-sysdep_routines): Likewise. [subdir = rt] (librt-shared-only-routines): Likewise. [subdir = nptl] (libpthread-sysdep_routines): Likewise. [subdir = nptl] (libpthread-shared-only-routines): Likewise. [subdir = resolv] (libanl-sysdep_routines): Likewise. [subdir = resolv] (libanl-shared-only-routines): Likewise. [subdir = nscd] (nscd-modules): Likewise. [subdir = nss] (libnss_db-sysdep_routines): Likewise. [subdir = nss] (libnss_db-shared-only-routines): Likewise. [subdir = posix] (LDFLAGS-tst-rfc3484): Likewise. [subdir = posix] (LDFLAGS-tst-rfc3484-2): Likewise. [subdir = posix] (LDFLAGS-tst-rfc3484-3): Likewise. (__NR_stime): Add #undef from eabi/sysdep.h. (DO_CALL): Use definition from eabi/sysdep.h. [__thumb__] (LOAD_ARGS_7): Do not define. (INTERNAL_SYSCALL_NCS): Use definition from eabi/sysdep.h. * sysdeps/unix/sysv/linux/arm/configure: ... here. Regenerate. MORE_ELF_HEADER_DATA to avoid warnings about redefinition. typedef if not already defined. * sysdeps/arm/libm-test-ulps: Adjust ULPs for jn tests. * sysdeps/arm/eabi/bits/fenv.h: Use const instead of __const. * sysdeps/arm/sysdep.h: Don't test or define NO_UNDERSCORES. * sysdeps/unix/arm/sysdep.S: Don't test NO_UNDERSCORES. * sysdeps/arm/sysdep.h: Remove non-ELF support. * sysdeps/arm/preconfigure: Give error for old-ABI ARM. .type/.globl/label to ENTRY(). Change .size to END(). (gregset_t): Define without using elf_gregset_t. (fpregset_t): Define using struct _libc_fpstate. cases for use in rtld. error out in case it is missing. sysdeps/unix/arm/sysdep.S: Remove !USE_THREAD and !USE_TLS cases. * sysdeps/unix/sysv/linux/arm/clone.S: Mark as .cantunwind. * sysdeps/arm/elf/start.S (_start): Align the constant pool to 4 bytes. * sysdeps/arm/preconfigure: Detect arm-linux-gnueabi* as ARM EABI. Save and restore r7, and also adjust sp. open_by_handle. Augment a few comments. missing "cmn r0, $4096" for _nocancel system call stubs. (DOARGS_0, UNDOARGS_0): Redefine to save/restore r7 to the stack. Create appropriate ARM unwind record. from) and the stack (to create an ARM unwind record). license reference in last paragraph of license notice. * sysdeps/arm/dl-tls.h (struct dl_tls_index): Make non-anonymous. * sysdeps/arm/dl-machine.h: #include sysdeps and dl-tlsdesc.h. interface for EABI with GCC 4.4 or later. unsupported but nothing needs to be done. * sysdeps/arm/stackinfo.h: Define DEFAULT_STACK_PERMS with PF_X. provided by GCC if __GCC_HAVE_SYNC_COMPARE_AND_SWAP_4 is defined. FP_FAST_FMAL): Define if associated GCC macros are defined. Change "fast-mult" to "fastmult". Add new HWCAP names. (HWCAP_IMPORTANT): Change to (HWCAP_ARM_VFP | HWCAP_ARM_NEON). (INTERNAL_SYSCALL_RAW): Rewrite to use __libc_do_syscall. to libraries and tests that require it. * sysdeps/arm/sysdep.h (ENTRY, END): Add CFI statements. * sysdeps/arm/memcpy.S (memcpy): Add CFI statements. (_dl_runtime_profile) <CFI>: Only emit .debug_frame. * sysdeps/arm/eabi/__longjmp.S (__longjmp): Add CFI statements. * sysdeps/unix/sysv/linux/arm/clone.S (__clone): Add CFI statements. * sysdeps/arm/eabi/Makefile [gmon] (sysdep_routines): Add arm-mcount. O_DSYNC to match 2.6.33+ kernels. F_OWNER_PGRP and mark F_OWNER_GID obsolete. __ASSUME_PPOLL): Don't undefine for kernel 2.6.32 and later. names of parameters of sync_file_range. of last two arguments when -D_FILE_OFFSET_BITS=64. * sysdeps/unix/sysv/linux/arm/clone.S: Support V4T interworking. Correct register conflict and comment. * sysdeps/arm/eabi/__longjmp.S (__longjmp): Use vldmia not fldmiax. Don't clobber r1/a2 register before testing IWMMXT hwcap. (setup_aeabi_stdio): New function. Add it to .preinit_array. * sysdeps/arm/preconfigure: Add -fno-unwind-tables to CFLAGS. * sysdeps/arm/__longjmp.S: If CHECK_SP is defined, use it. * sysdeps/arm/bits/link.h: Uglify function parameter names. * sysdeps/arm/eabi/bits/setjmp.h: Uglify attribute name. (elf_machine_load_address): Clear T bit of PLT entry contents. addressing to avoid depending on pc read pipeline offset. * sysdeps/arm/machine-gmon.h (MCOUNT): Add Thumb-2 implementation. * sysdeps/arm/tls-macros.h: Add alignment for Thumb-2. (TLS_IE): Define differently for Thumb-2. (TLS_LE, TLS_LD, TLS_GD): Use ARM_PC_OFFSET. * sysdeps/arm/elf/start.S: Switch to thumb mode for Thumb-2. alignment for Thumb-2. Adjust offset from PC for Thumb-2. (lll_futex_wake_unlock, lll_futex_requeue): Return zero if success. * sysdeps/arm/fpu/setjmp.S: Add hidden_def (__sigsetjmp). * sysdeps/arm/eabi/setjmp.S: Add hidden_def (__sigsetjmp). * sysdeps/arm/setjmp.S: Add hidden_def (__sigsetjmp). (_ioperm): Use __open and __close. set exception flags, not on mask of enabled exceptions. * sysdeps/unix/sysv/linux/arm/ioperm.c: Don't include asm/page.h. * sysdeps/unix/sysv/linux/arm/profil-counter.h: Use the i386 version. SIGCONTEXT_EXTRA_ARGS, GET_PC, GET_FRAME, GET_STACK): Likewise. (lll_futex_timed_wait): Pass private flag to syscall. (lll_robust_dead, lll_futex_requeue): Take private arguments. (lll_futex_wake_unlock): Pass private flag to syscall. (__lll_lock): Convert to macro. Take private argument. (lll_lock, lll_cond_lock): Take private arguments. (__lll_timedlock, __lll_robust_timedlock): Convert to macros. (lll_timedlock, lll_robust_timedlock): Take private arguments. (lll_unlock, lll_robust_unlock): Take private arguments. lll_trylock, lll_lock, lll_unlock, lll_islocked): Remove. (lll_wait_tid): Pass LLL_SHARED to lll_futex_wait. * sysdeps/unix/sysv/linux/arm/check_pf.c: Update from generic version. (pthread_cancel_init): Add noinline and barriers. (__lll_timedlock_wait): Update call to lll_futex_timed_wait. (pthread_rwlock_t): Shrink __flags and add __shared. (__ASSUME_SIGFRAME_V2): Define for 2.6.18 and later. macros depending on kernel version. sysdeps/arm/bits/mathdef.h. Remove comment about FPA. (DOCARGS_6): Change ".pad #20" to ".pad #16". <asm/procinfo.h>. Use HWCAP_ARM_VFP instead of HWCAP_VFP. defined, include the named file. 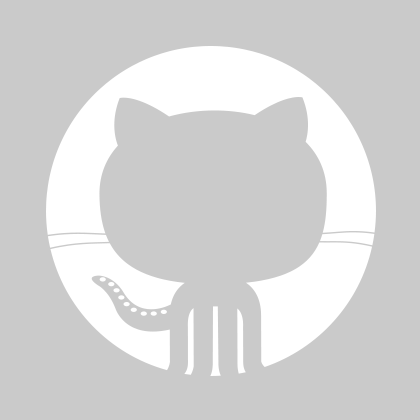 (NGREG, mcontext_t, struct ucontext): Update to match the kernel. * sysdeps/arm/nptl/pthreaddef.h (CURRENT_STACK_FRAME): Add -12.
for consistency with other ports. Declare sync_file_range, vmsplice, splice and tee. (PSEUDO): Inline correct versions of PSEUDO_RET_MOV and MAYBE_SAVE_LR. * sysdeps/arm/jmpbuf-offsets.h: ... here, new file. * sysdeps/arm/fpu/jmpbuf-offsets.h: ... here, new file. * sysdeps/arm/eabi/bits/setjmp.h (__JMP_BUF_SP): Macro removed. * sysdeps/arm/fpu/bits/setjmp.h (_JMPBUF_UNWINDS): Macro removed. * sysdeps/arm/eabi/bits/setjmp.h (_JMPBUF_UNWINDS): Macro removed. DEMANGLE, and pass SP value through it. * sysdeps/arm/libc-tls.c: Use csu/ instead of sysdeps/generic/. * sysdeps/unix/sysv/linux/arm/clone.S (__clone): Handle RESET_PID. RESTORE_PID. Use the right syscall error handler. Add unwind information. Correct stack alignment typo. (__libc_sigaction): Remove never-valid handling for SA_ONSTACK. * sysdeps/arm/dl-machine.h (CLEAR_CACHE): Use INTERNAL_SYSCALL_ARM. * sysdeps/unix/sysv/linux/arm/brk.c (__brk): Use INLINE_SYSCALL. * sysdeps/unix/sysv/linux/arm/clone.S (__clone): Use DO_CALL. (SINGLE_THREAD_P): Rewritten to use only ip. * sysdeps/unix/sysv/linux/arm/mmap.S (__mmap): Use DO_CALL. * sysdeps/unix/sysv/linux/arm/mmap64.S (__mmap64): Use DO_CALL. * sysdeps/unix/sysv/linux/arm/vfork.S (__vfork): Use DO_CALL. * sysdeps/unix/sysv/linux/arm/aeabi_read_tp.S: Add LGPL exception. * sysdeps/arm/shlib-versions: Add EABI support. in the argument list for EABI targets. sysdeps/arm/_mcount.S: Revert previous bogus changes. Don't compile. Correct cut'n'paste error with .size. * sysdeps/arm/ldsodefs.h, sysdeps/arm/tst-audit.h: New files. * sysdeps/arm/gmp-mparam.h: Support VFP and big endian. big endian machines. Reported by Sven Henkel <shenkel@gmail.com>. * sysdeps/arm/dl-machine.h: Check RESOLVE_MAP instead of RESOLVE. (fix_bad_pc24): Use auto instead of static. * ChangeLog.arm: New file (this one). Subdirectories moved here from main repository.